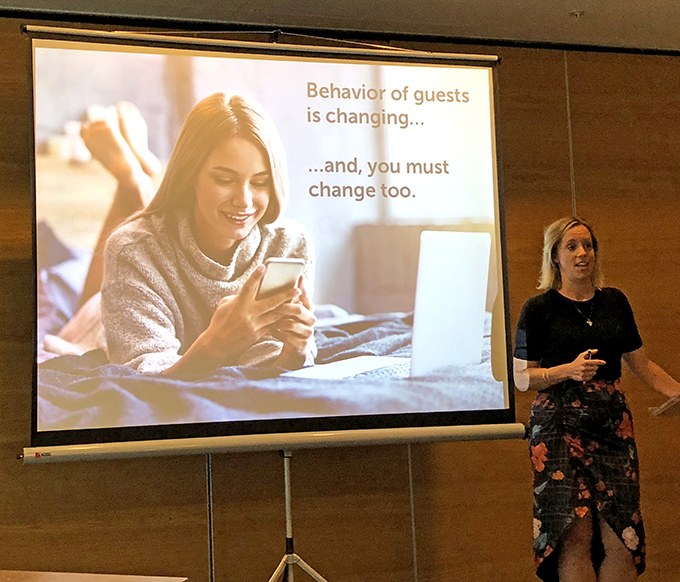 In our latest conference report, REBECCA GORMLEY looks back at Danica Davis’s insightful breakout session about the importance of consumer and guest data. Online reputation has never been more critical to brand success than it is today. With so many guests – 84 per cent in fact – trusting online reviews as much as recommendations from friends, many resorts and hoteliers are looking to increase their ratings and popularity online at every opportunity. Danica Davis, Product Specialist at ReviewPro, gave an insightful breakout session at RDO9, providing delegates with the tools to improve their online reputation, by sharing simple techniques and case studies in order to increase occupancy levels and revenues. According to the Harvard Review, guests are willing to spend 240 per cent more on a great experience, rather than risk taking a bad holiday. Online reviews and forums are often the first place that bookers look to get a taste of the hotel or resort experience and reassurance. A bad online reputation will almost certainly come at the cost of a booking. Davis explained to delegates that if a hotel or resort can improve its online rating by just one per cent, it will see an uplift in bookings and profits. From its offices in Barcelona, Review Pro provides guest intelligence solutions to more than 43,000 hotels in 150 countries, including, Radisson Hotel Group, Kempinski, Red Lion Hotels, and Mèlia Hotels International, by monitoring more than 200 review sites and OTAs. Davis used one of Review Pro’s clients as an example – The Aria Hotel Budapest by Library Hotel Collection, which is currently ranked by TripAdvisor as the number one hotel in Budapest. Davis said: “The level of service they deliver at this hotel is impeccable – which is why in 2017 it achieved number one in the world in TripAdvisor’s Travellers’ Choice Awards. Today it is still sitting in TripAdvisor’s top 25 hotels in the world. Improving online reputation can be made possible by employing strategies that ensure hotels and resorts stand out from the crowd. Meeting expectations is no longer good enough, developers and hoteliers need to go above and beyond expectations to make an excellent impression on their guests. Gathering guest intelligence is the key to winning excellent guest reviews – and waiting until your guests return from holiday to answer your follow-up survey is likely to be a case of too little, too late, for the dissatisfied guests. Davis added: “We need to be asking – what’s going on during their holiday experience? How do our guests want to communicate with us? Would they prefer to send a WhatsApp message, instead of an email or phone call? “Small things can often be picked up with consistent, easy communication. For example, if the guests are complaining that the air conditioning is noisy, you can easily offer for someone to go and fix it for them while they are still in resort. By sending an in-stay survey in addition to a post-stay survey, hotels and resorts can improve their overall score by an average of 13.8 per cent, according to Review Pro. As well as solving any maintenance issues, personal touches also make a huge impact on guest experience, such as welcoming back frequent guests with a few of their favourite things or leaving a card, flowers or champagne in the room to help guests celebrate a special occasion. Davis continued: “Think about what makes a hotel stay extra special. The real winners in this industry are obsessed by guest intelligence, and use it as a basis in their budget planning. “Let’s take a look at Travelodge as an example. Before making a £25 million investment in a refurbishment programme, the board of directors first consulted the intelligence they had gathered from their guests. “After discovering that guests rate the quality of their sleep higher than anything else, the original plans were scrapped and the board of directors took the decision to invest instead in new beds and pillows, with the launch of Travelodge’s signature Dreamer bed. In addition to using guest intelligence wisely, Davis also shared some of the quick-wins for delegates to improve their online reputation. Davis used a central London hotel as an example, which took an average of 6.3 days to respond to 82-92 per cent of its reviews on TripAdvisor, over a three-month period. There are currently more than a million reviews, on approximately 1,600 three- to five-star hotels in London, and by the time the hotel management had responded, their replies were already outdated and unlikely to be seen by those visiting the site. By having a robust, efficient process in place, facilitating a prompt response to reviews in a timely manner, hoteliers and resort developers can significantly increase the chances of their responses being seen by prospective guests. Also, it doesn’t have to be the marketing manager or general manager who responds to reviews, many successful hotels encourage the kitchen team, reception staff or maintenance team to also respond, which in turn gives more personality and transparency to the brand. And the most harmful reviews of all? According to Davis, it isn’t the negative reviews you should be concerned about. “Negative reviews are often very specific – they give you exact pointers on where you need to make improvements,” explained Davis. “They also give you an opportunity to respond publicly, apologise for any inconvenience and explain the reasons why the service at this particular time was sub-standard – which also puts prospective guests’ minds at ease to know you are being proactive in making improvements. On average, 85 per cent of customers would choose one hotel over another, based on the hotel’s response to a review. “The most harmful reviews, which may come as a surprise to some, are the neutral reviews. These guests didn’t get the ‘wow’ factor from your hotel or resort, but equally, they didn’t have a terrible experience. While TripAdvisor has dominated the review space for many years, it isn’t the only review site that should be monitored daily by hotel or resort staff. 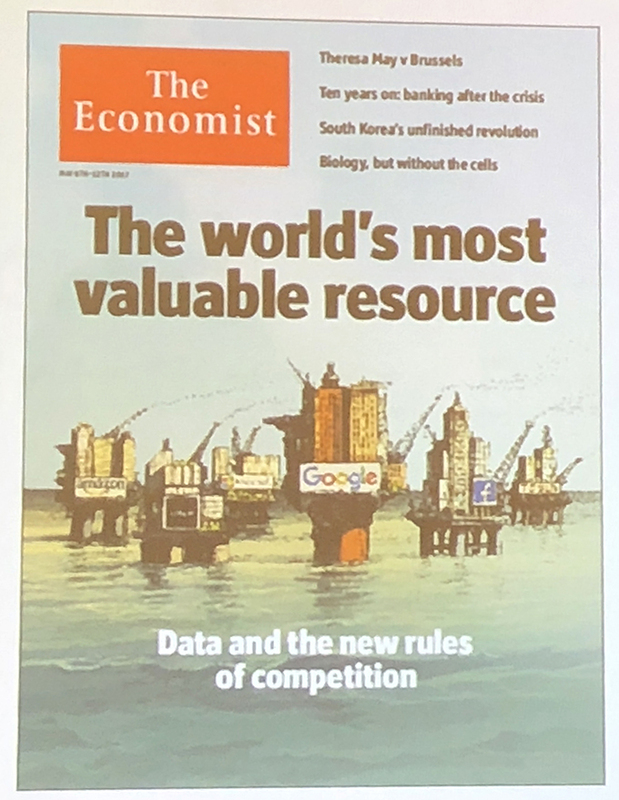 Booking.com has now replaced it as the largest review site; Google has been recognised as the fastest growing, and TripAdvisor as the fastest descending. However, all three remain vital for gathering useful guest intelligence. Responding promptly to reviews is essential and aiming for a 90 per cent response rate within 24 hours will help to improve online reputation. When responding to a positive review, be sure to include the hotel or resort name where possible in the response, to improve SEO and increase visibility of positive reviews. Employ an in-resort survey to check whether guests are enjoying their stay while they are staying with you, to see if there is anything you can do for them during their holiday.